The fruit in the rowan trees at the top of Buck Hill is not yet ripe enough to attract birds. 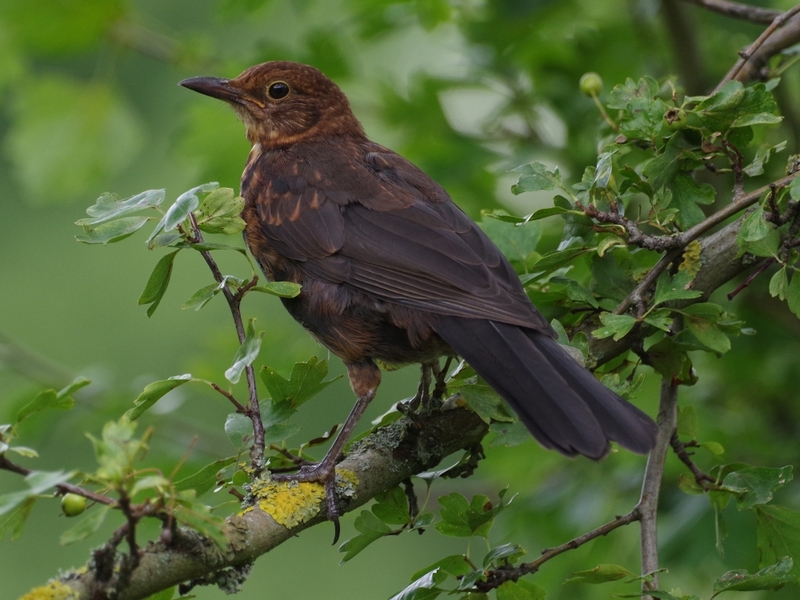 The Blackbird family in the neighbouring hawthorn tree will dive in as soon as it's palatable. 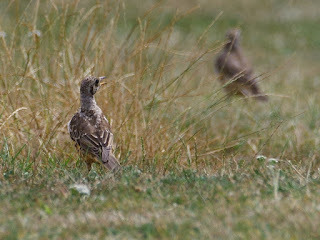 The migrant Mistle Thrushes are also waiting, but for the time being were looking for insects and worms in the long grass. 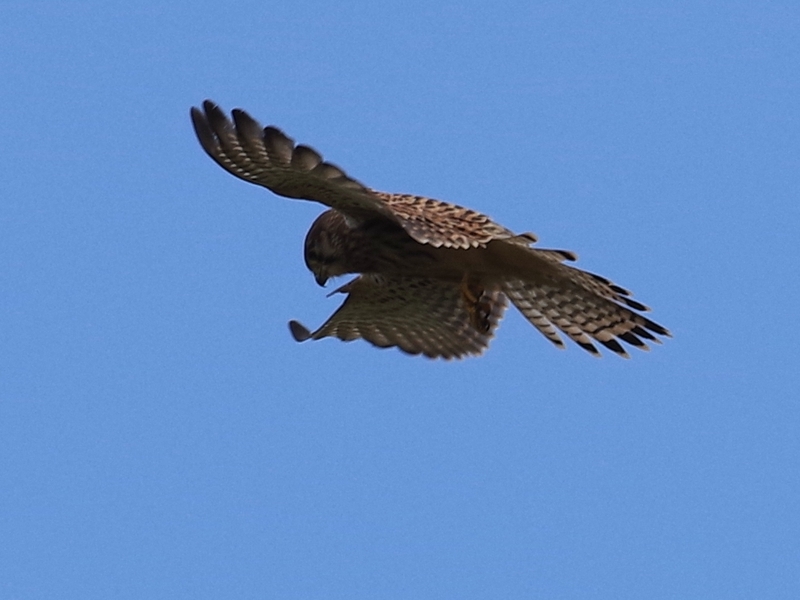 They flew into a tree when the female Kestrel arrived. 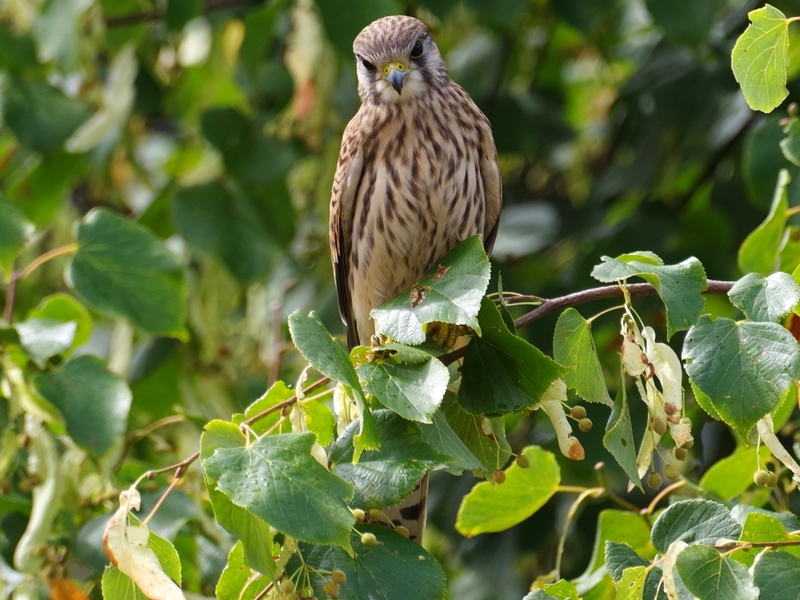 ... and perched in a tree, letting me come quite close. 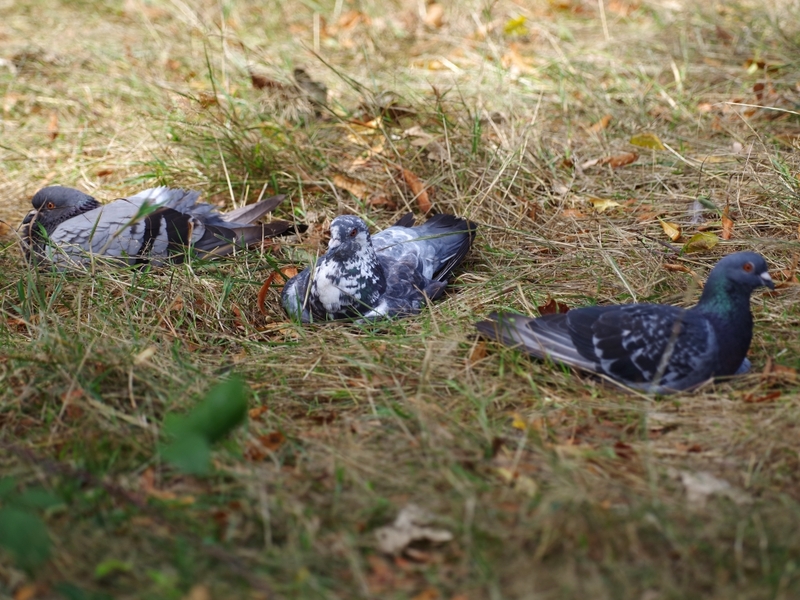 Under the tree, three Feral Pigeons were lounging around, knowing that she was too small to attack them. The two young Grey Herons on the island climbed around their nest and adjacent branches, flapping well developed wings. They are ready to leave, but haven't dared to take the plunge yet. 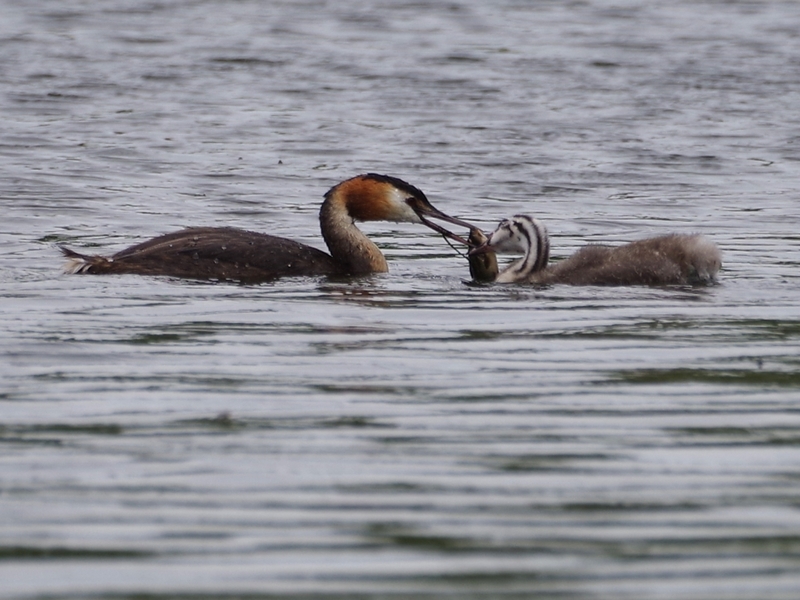 One of the Great Crested Grebe chicks at the island was given a large fish which it was just able to swallow. The people at Bluebird Boats kindly gave me a trip to get a closer look at them. These are the chicks from the same family, looking under the surface to see if one of their parents was catching some fish for them. This is the family from the west end of the island. The chicks are more recently hatched, but have grown fast and there is now room for only one of them on a parent's back. A view from above of the Coots' nest at the Serpentine outflow, with the chick that was washed over the weir and eventually managed to climb back up. 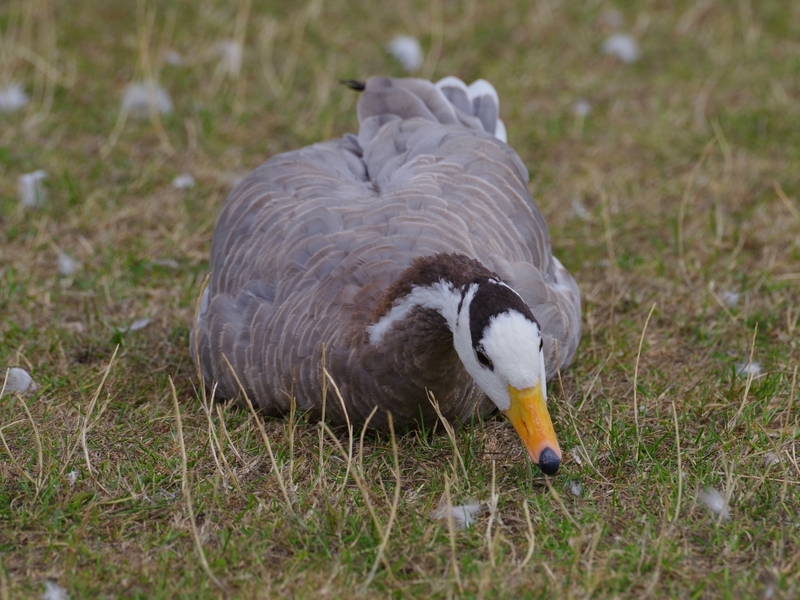 It must have been well fed, because it refused the proffered food. 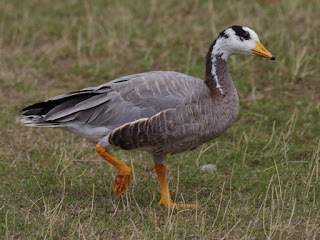 A Bar-Headed Goose at the Round Pond was sitting down cropping the new grass which has come up after the recent rain. ... and set off, calling, to look for it. 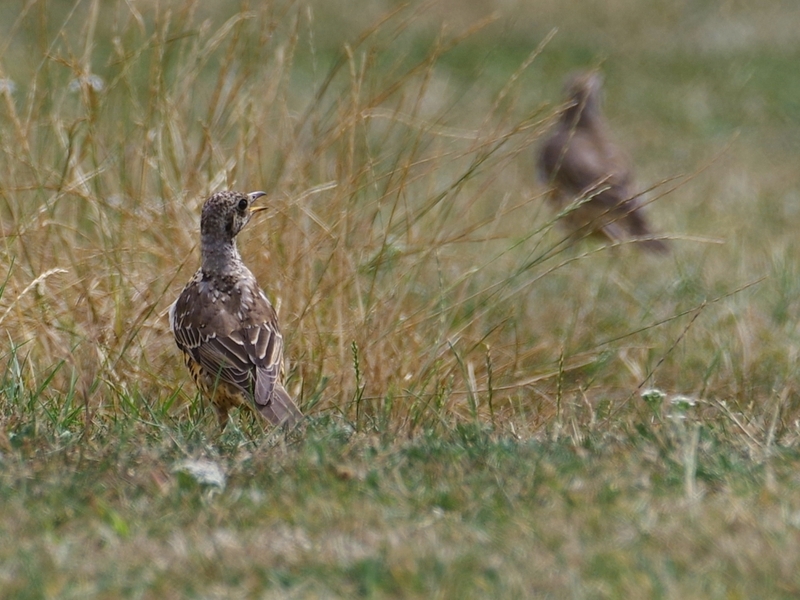 Once reunited, they preened happily side by side. The Tufted Duck and her thirteen ducklings came to the edge of the Serpentine to eat some birdseed thrown into the water. 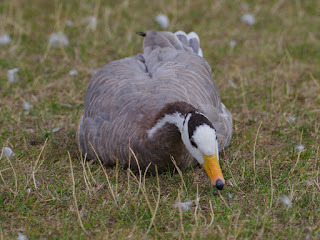 They had to dodge some Canada Geese with the same idea. 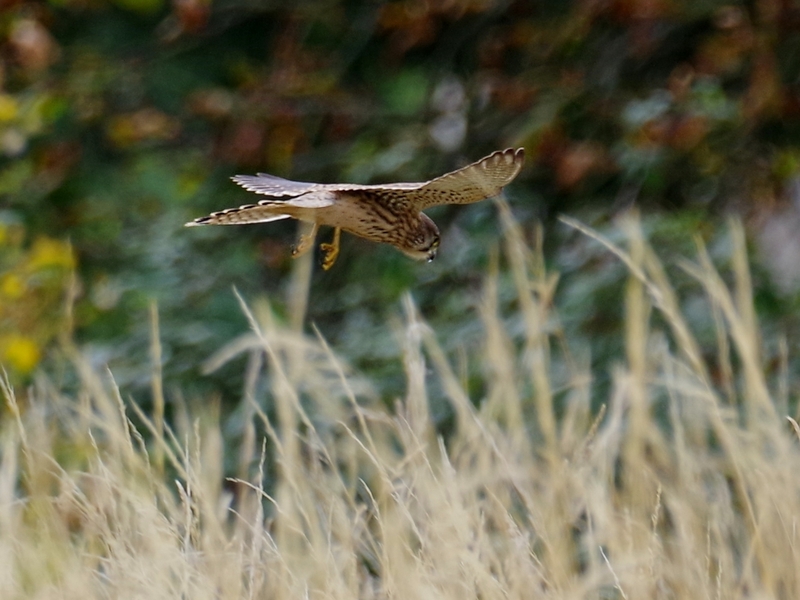 They've been strolling around Buck Hill with the Kestrel hovering overhead. I was surprised. 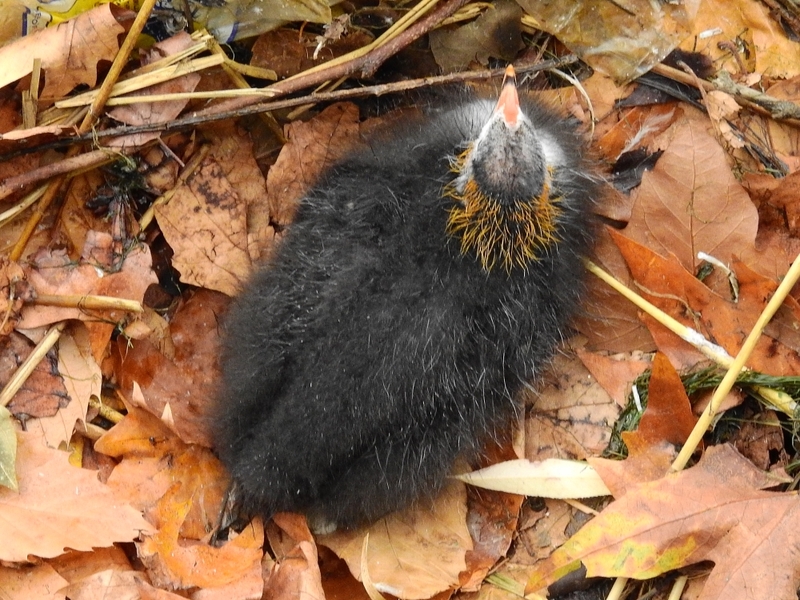 I am happy to find that my compatriots are as enthralled by the surviving Coot chick as I am! 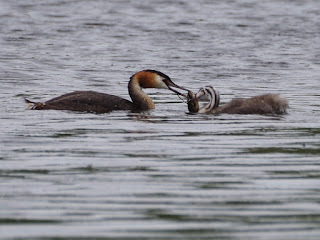 Coots are found rather infrequently in Spanish parks, so the Coot parents' feeding the chick was something to excitedly comment on. 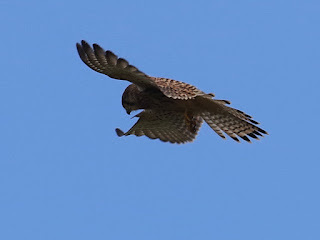 Do British Kestrels go for such large pigeons? 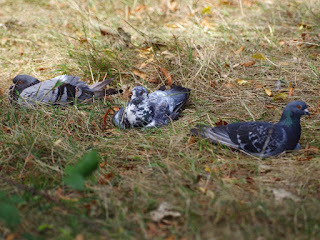 Pigeons give them a very wide berth here. We never had Coots in London until they were ill-advisedly introduced in the early 1920s by putting Coot eggs in Moorhen nests in St James's Park. 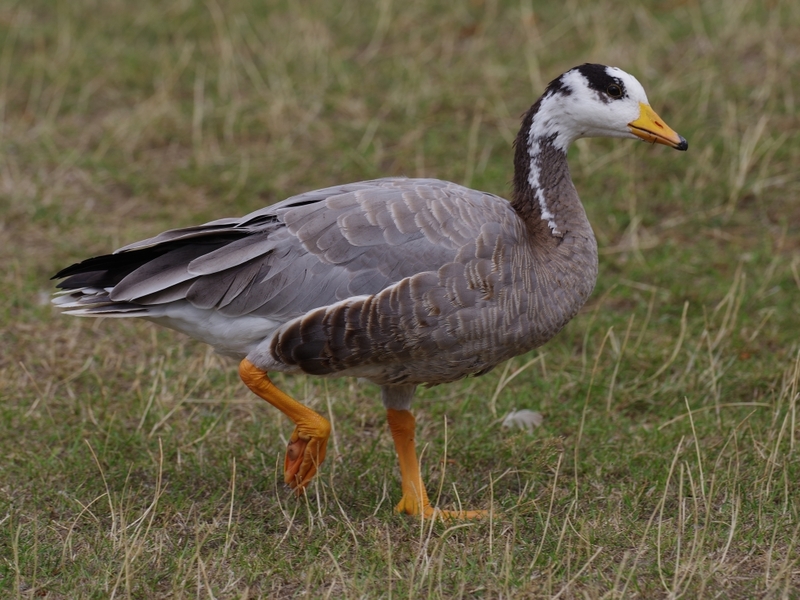 After that they took over, and vastly outnumber Moorhens. I have never seen a Kestrel attack a Feral Pigeon here, or a Feral Pigeon that was afraid of a Kestrel. Which is not to say that it doesn't happen.